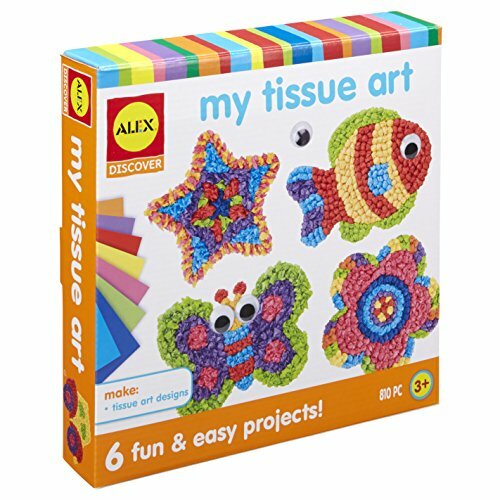 ALEX Discover My Tissue Art is overflowing with tissue paper so your little one can make fun craft projects. 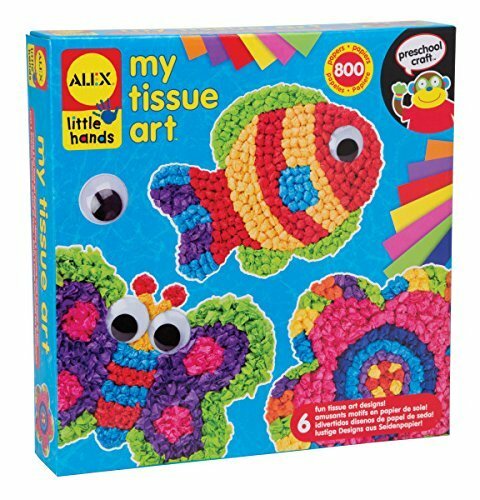 Peel the picture one section at a time, crinkle up the tissue paper squares and stick them down to make fish, butterflies, and more. This kit is specifically designed for preschoolers with no reading required. 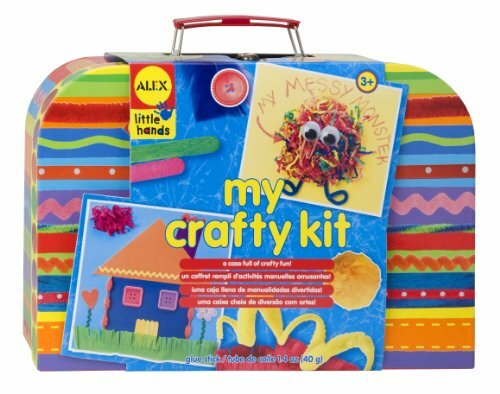 Using the included illustrated instructions, children can learn how to work with craft supplies for years to come. They will learn all the valuable skills to become more talented at arts & crafts. By showing how young crafters can use the included supplies, they'll also form lifelong hobbies and develop skills that they can bring to future projects. 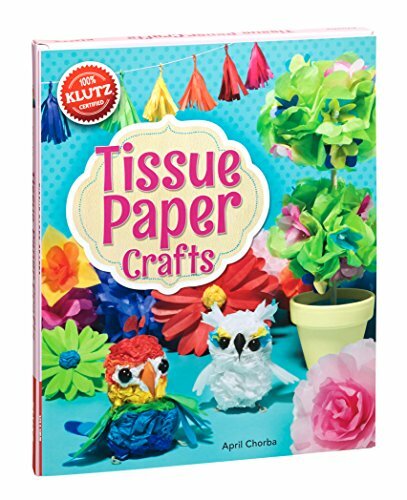 Includes 6 sticky back patterns, 4 google eyes, 800 rainbow colored tissue paper squares and instructions. Recommended for children 3 years of age and older. 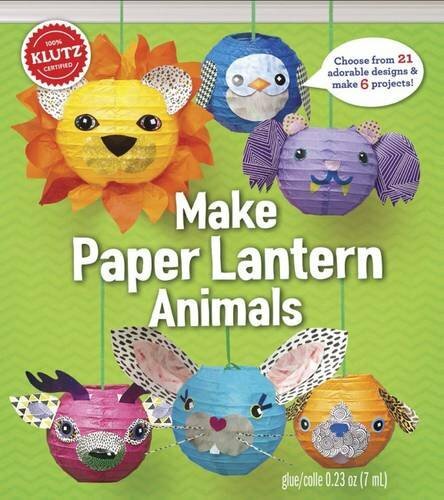 Let your imagination run wild as you choose from 21designs and transform 6 paper lanterns into adorable animals. Simply cut out the stencil shapes from a variety of patterned papers, glue them in place, and display with pride. It's the cutest collection of paper lanterns you've ever seen. 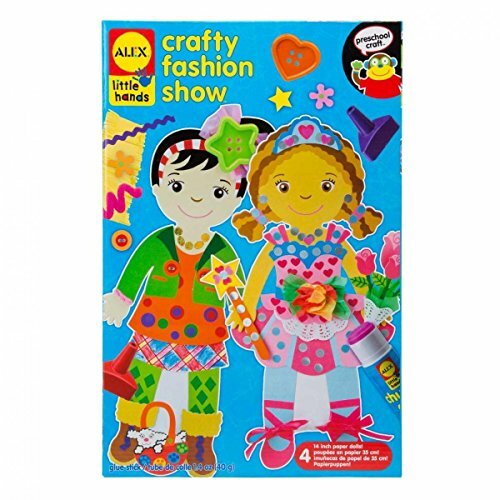 ALEX Toys Little Hands Crafty Fashion Show is a rainy day runway project for future fashion designers! Use crafting supplies to design and create outfits for your cardboard models and send them down the runway. Great activity for a small group or one little fashionista who wants to design a whole collection. 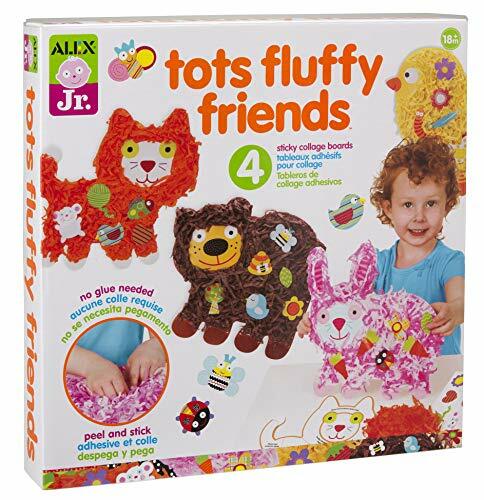 Includes 4 cardboard dolls, 20 stickers and shapes, 29 tissue papers, 4 pipe cleaners, 3 ribbons, 5 pieces of ric rac, 3 sheets of fringed paper, 3 buttons, a doily, glue stick (4.4oz. / 40g. ), 8 crayons, a craft stick and picture instructions. Recommended for children 3 years of age and older. 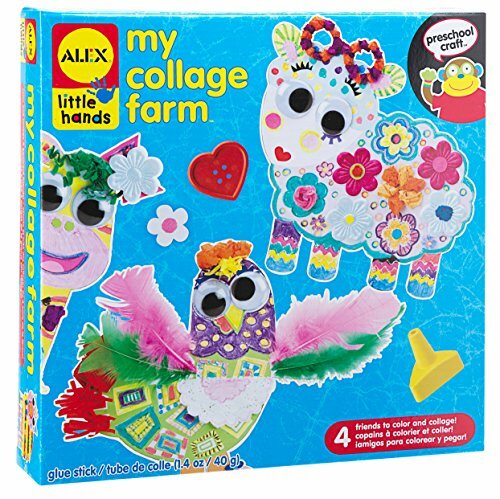 ALEX Toys Little Hands My Collage Farm is a wonderful introduction to art. Grab the glue stick, choose a farm animal cutout, and let creativity soar. This mixed-media collage kit includes four 9 cutouts to decorate, plus tons of craft supplies, including feathers, buttons, ribbons, pipe cleaners, crayons, and stickers (even four big googly eyes!). Includes 4 animal paper shapes (9in. / 22.8cm. ), 10 feathers, 4 google eyes, 1 pom-pom (3in. / 7.6cm. ), 1 roll crepe paper, 6 pipe cleaners (12in. / 30.4cm. ), 4 buttons (1.5in / 3.8cm), 1 flower (3in. / 7.6in. ), 80 tissue papers (3in. square / 7.6cm. square), 2 paper doilies (4.5in. / 11.4cm. ), 8 finger crayons, 1 sticker sheet, crinkle paper (0.7oz. / 21g. ), fringe paper (26ft. / 8m. ), 25 paper shapes, glue stick (1.4oz. / 40g.) and picture instructions. Recommended for children 3 years of age and older. 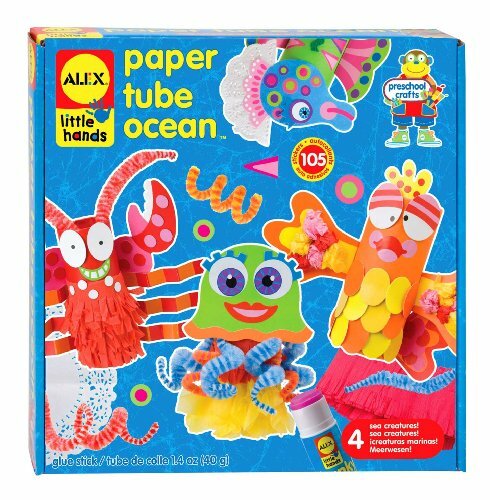 ALEX Toys Little Hands Paper Tube Ocean lets your child make fun ocean creatures with ordinary paper tubes. Just peel, stick and glue to create funny friends. Step-by-step instructions are included with no reading required. Create 4 different sea creature crafts – a goldfish, a seahorse, a lobster and a jellyfish! Each project comes individually wrapped and ready to begin when you open the box. Includes 4 paper tubes, 148 stickers and paper shapes, 4 pipe cleaners, fringed paper, 25 tissue paper squares, glue stick and instructions. Recommended for children 3 years of age and older. Create adorable pom-poms, beautiful flowers, pretty plants, and best of all... fluffy little birds. Step-by-step instructions guide creative crafters through innovative projects that put a new spin on this traditional craft. There is even a custom cardstock birdcage with a perch for displaying your handmade bird in style. Finally, tissue paper gets to spread its wings! Shopping Results for "Alex Tissue Art"